"How did I get here?!" Those were my exact words when I saw the picture of myself on New Years Eve back in 2012. I mean, I knew that I never liked being photographed, but unlike stardom, my problem wasn't with paparazzi, but with the way I looked. I didn't even have pictures with my own children for goodness sake! This was my life but I never thought too much about it. In essence, how can one truly grasp the reality of being 240lbs when loved ones always praised my appearance? Still, that one photo changed my life and I knew I couldn't continue on the path of self destruction that I was on. Unfortunately I didn't know where to turn. As a stay at home mom with limited income, NO time to get to a gym, and absolutely no space in my home for workout equipment, I felt like all hope was lost. A few days later while on Facebook, I came across a video about a gentleman named Arthur who overcame physical impairments to defy odds and change his life through the use of DDP Yoga. Now, I am one who usually tries to figure out where the "catch" is but for some reason, that thought never crossed my mind while watching his story. And so it began. On January 11, 2013 I started my weight loss journey with nothing more then a yoga mat, my water and my DDP Yoga dvd. I started incorporating more fruits and vegetables while cutting out the pure junk I so loved to binge on. 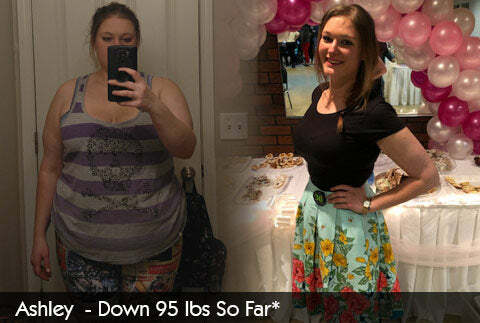 By June 2, I had dropped 60 pounds and felt absolutely amazing! Unfortunately, my health started deteriorating which in turn deteriorated all motivation. Needless to say, between a cancer/liver scare and my son's autism, I gave up. The pounds quickly packed back on and I just didn't care anymore. That is, until I couldn't fit into any of my clothes again. Now we're here on this journey again. I started back in January of 2016 at 210lbs. Now, I'm sitting at 179lbs! This program has helped me lose weight not once, but twice without ANY equipment, ANY gym time and I can do it with my children around. They also love working out, especially my autistic son. (He seems much more relaxed afterwards) I customize every single day by switching up the workouts I do, how many rest days a week I take a week and how many workouts I do a day. Some days I only do 1, while others I might throw in a Red Hot Core after dinner. My ultimate goal is to continue to become healthier and happier for my children, husband and self as well as become an inspiration to those who are struggling with their weight. I especially want to reach out to those who are unable to hit the gym or stay at home with their children. DDP Yoga has given me the opportunity to change my life all from the comfort of my home. No other program has produced the results that I have personally experienced on 2 different occasions.